Are you interested in a fancy looking and fancy tasting dish without hours of fancy prep work? 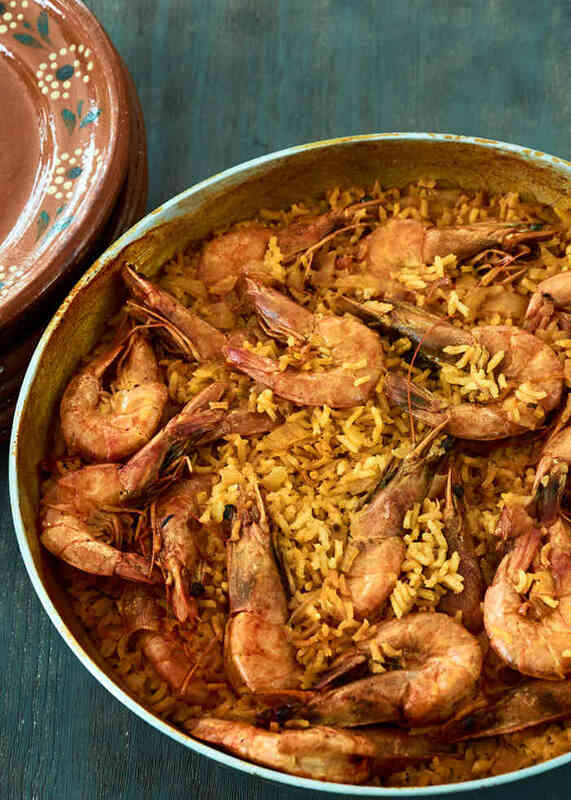 This Mexican curried rice and shrimp dish is what you are looking for. Big flavor, great presentation and easy enough for a weeknight meal. It will become one of your favorite go-to meals without a doubt. This dish is so simple to prepare. You really need very few ingredients: shrimp, rice, onion, garlic, curry, and salt. 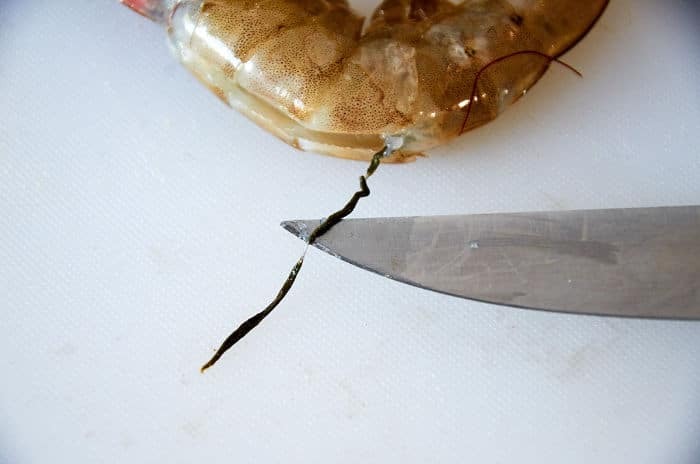 For the best presentation, you will want to devein the shrimp before cooking. 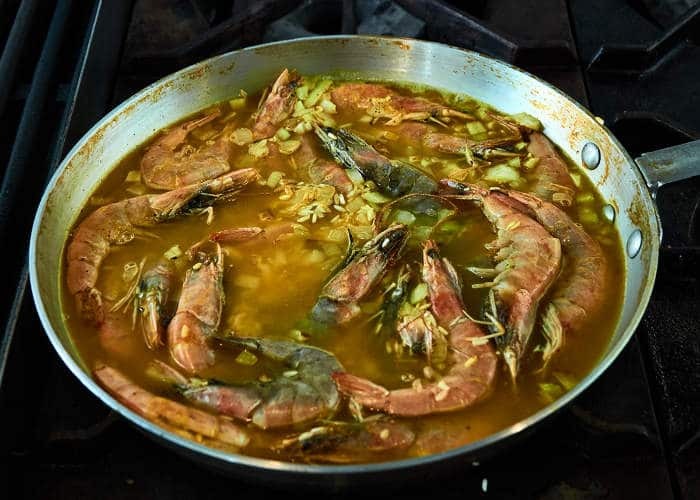 Rinse the shrimp well in cold water then devein the shrimp to get them ready for cooking. 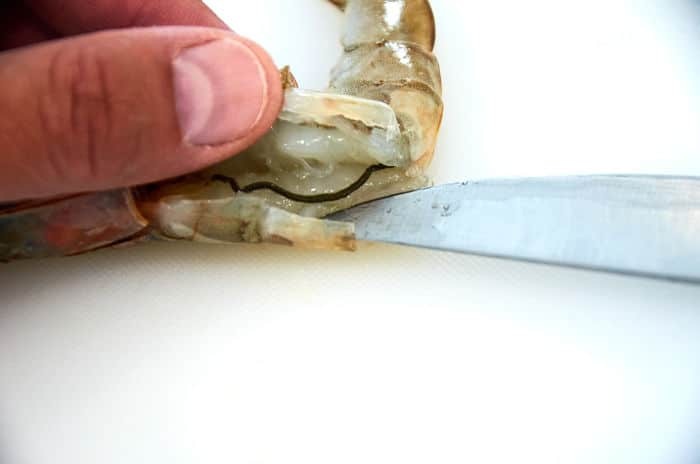 Use a sharp knife and split the shell down the back of the shrimp to expose the vein. With the tip of the knife gently remove the vein and discard. You’re done. That was the most difficult part of preparing this dish. Let’s start building the flavor. 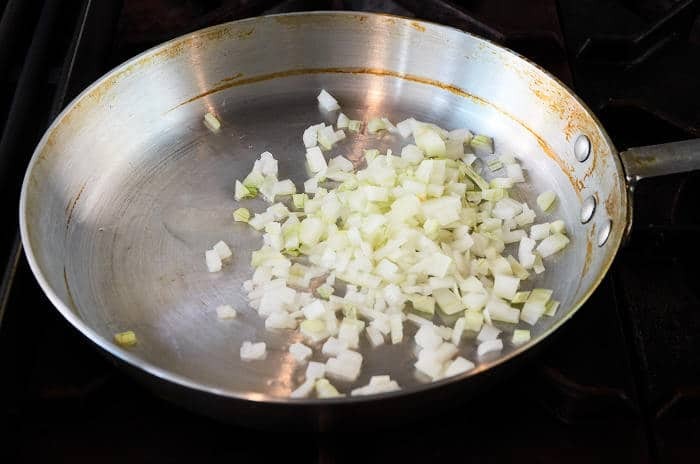 In 3 tablespoons of cooking oil, fry the onion over medium heat for 1 minute. Add the rice and stir for 1 minute. The rice will just be starting to brown. Reduce the heat to low. Add the finely chopped garlic, shrimp, curry powder and 1 tsp. of salt. 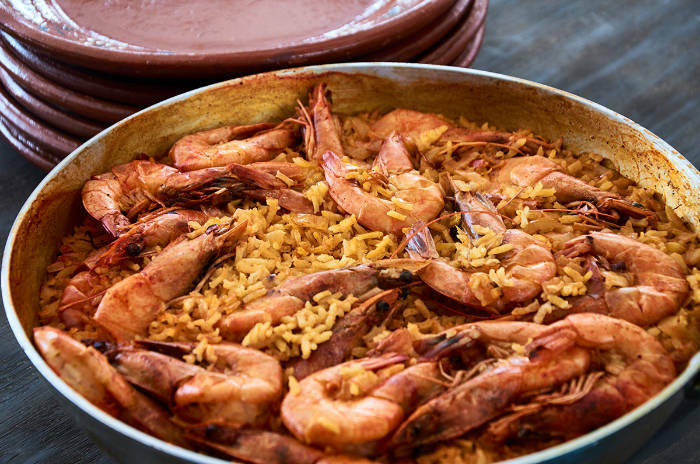 The shrimp are cooked in their shells which adds a lot of flavor. Add 3 cups of water and stir gently to be sure the curry is evenly dispersed. 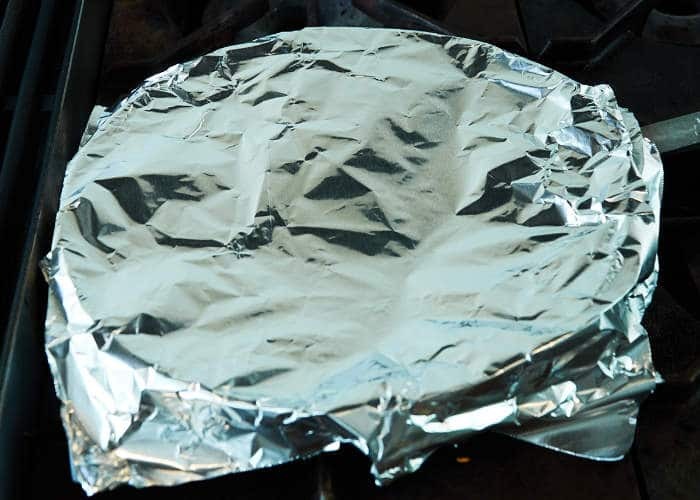 Cover the pan with aluminum foil or its lid. 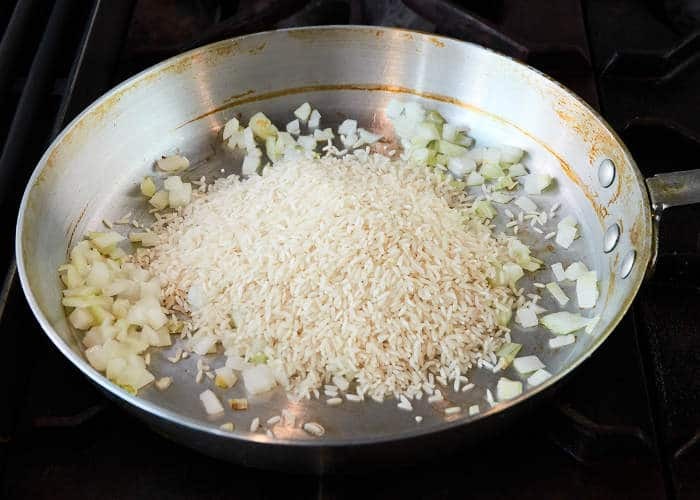 Cook for 20 to 25 minutes until the rice has absorbed all of the cooking liquid. If the rice has absorbed all of the liquid but still isn’t fully cooked add water 4 tbsp. at a time as needed until the rice is fully cooked. Once the rice is cooked, take off the heat and let sit for 5 minutes. What do you think? Looks good, doesn’t it? 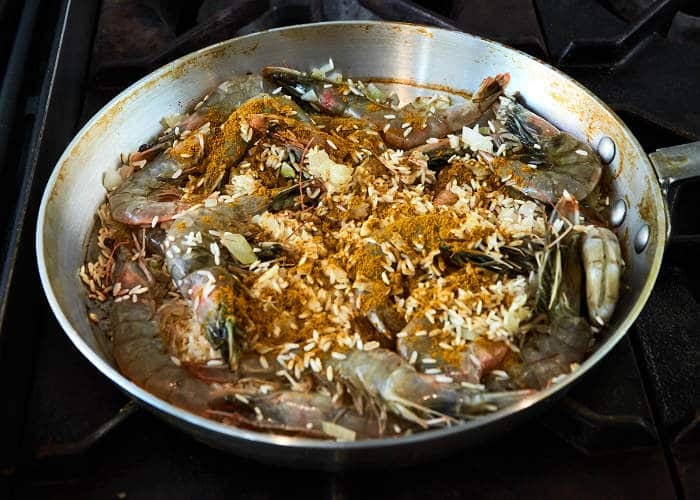 Serve the shrimp family style directly from the pan you cooked it in which looks beautiful on the table and makes serving a breeze. 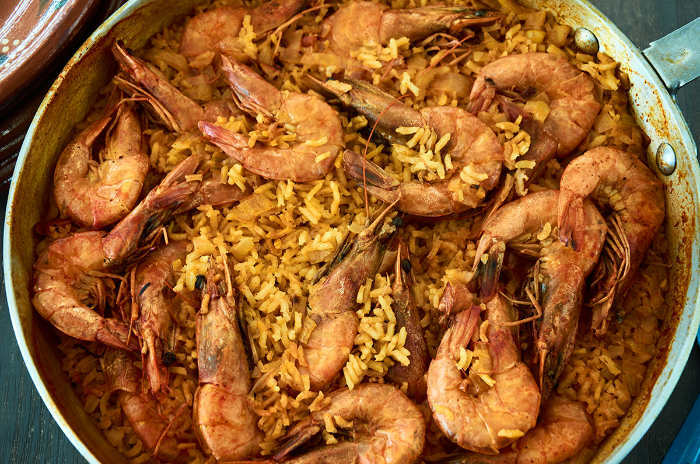 Easy weeknight Mexican curried rice and shrimp dish. Big flavor and great presentation with very little prep work. This will become one of your go-to dishes. It's nearly foolproof. 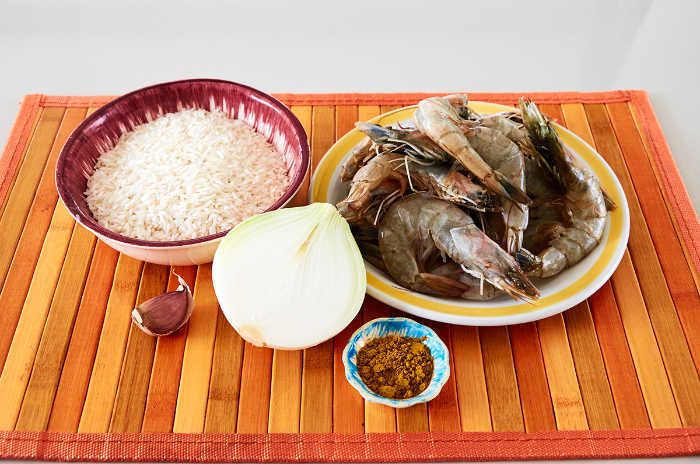 You can use peeled shrimp for this dish if you don't care for shrimp in their shells. For even more flavor you can substitute the 3 cups of cooking water for 3 cups of low salt chicken broth. I will definitely try it. Sounds delicious. What do you think about some sliced Spanish chorizo? Spanish chorizo would be a great addition!